Thinking about Mexican Beer? Did you know that it is traditional to have a lemon and salt with your cervaza. Now that is true Mexican style, try it. 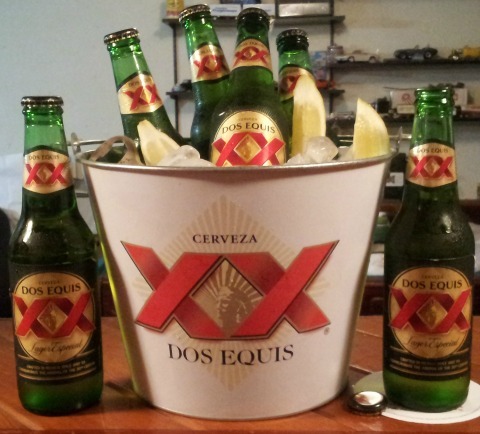 Mexico has become the top exporter of beer in the world today. So what makes this beer so special? Why is it the rave worldwide? Well, let's take a look and see if we can find out why. 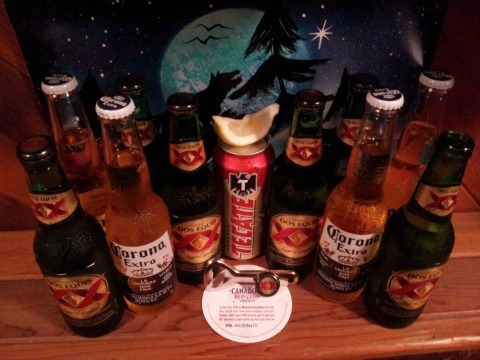 When people think about Mexican beer, they normally think Corona Extra with a lime. Until I visited Puerto Vallarta, I thought the same thing. On our first visit down, we were introduced to Tecate at our all inclusive resort. It was the only beer they had and I liked it very much but found it very strange as the only brand I knew about was Corona. Where was the Corona Extra that was served in every bar and restaurant back home? As a matter of fact, I only found a Corona one time on my initial visit in a restaurant on the beach. Gone was my dream of getting that perfect photo of my feet on the beach and a Corona with a lime sitting beside me. You know, like in the commercials where everything looks so perfect. Now on our second time down, we stayed at a higher end resort with fully stocked mini bars. Yes, a dream come true for me. This was nothing like the last all inclusive fully stocked mini bar that we had. This mini bar was stocked with water, all kinds of pop and Dos Equis. As you can see in the photo above, I became a big fan of it. Really light tasting beer and oh so dreamy with lemon and salt. There is also an amber Dos Equis but I personally prefer the Lager Especial. Now there are many other brands of beers like Pacifico, Sol, Indio, Bohemia, Modelo and Noche Bueno. I have not tried them all yet but plan to sooner or later. Noche Bueno is only sold during the Christmas season for Christmas Eve. It is a special beer for this occasion only. If you are down in Puerto Vallarta during this time give it a try and let me know what you think. So why is the beer of Mexico so famous? I have my own personal theory's. 1. Every commercial I see for Corona Extra involves a beautiful beach scene. Crystal clear water, the picture perfect couple, the beer and nothing else. So in our minds we associate it with vacation, relaxation and beautiful warm sunshine. I use Corona for this theory as I have not seen any other commercials for Mexican Beer. 2. Could it be the lemon and salt factor? When we hear about adding lemon and salt to a beer, we automatically think about the beers from Mexico. There is just something about doing this that seems fun and exciting. Plus, it tastes oh so good. These are just two theory's of mine. 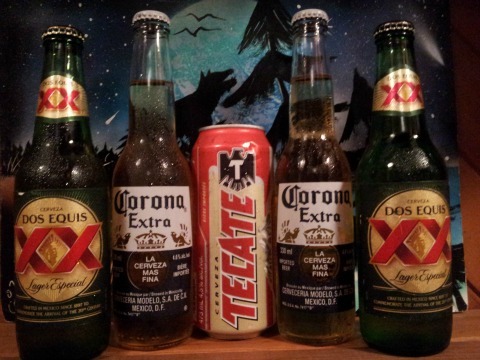 I would love to here your theory on why Mexican Beer is so popular.